Have we seen the highest gas prices of the year? Motorists who felt pain at the gas pump over the Memorial Day weekend might feel a little better when the Independence Day holiday rolls around in early July. The price of fuel may have peaked on Friday, when it hit a multi-year high national average of nearly $3 a gallon. Today, the national average price of regular gas has dipped slightly to less than $2.97, according to the AAA Fuel Gauge Survey. The survey shows the price of premium gas has remained stable at around $3.50 a gallon and the price of diesel fuel has drifted slightly lower to $3.21 a gallon. Motorists can thank a surprising increase in U.S. oil supplies, reported last week, and Saudi Arabia's announced decision to increase output to make up for OPEC shortfalls from Iran and Venezuela. The result was a significant drop in crude oil prices on world markets over the weekend. U.S.-produced West Texas Intermediate (WTI) crude has fallen below $70 a barrel, trading today at less than $67 a barrel. Brent crude was trading at $75.51, the lowest since May 8. Patrick DeHaan, head of petroleum analysis at GasBuddy, says he thinks retail gas prices may have peaked on Friday. He says the normal pattern is for fuel prices to slowly sink after Memorial Day. This year, he says it looks like OPEC will help by keeping oil prices from going higher. 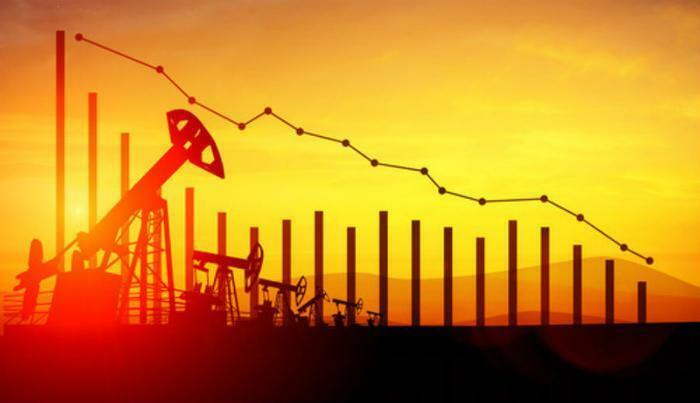 Oil prices began their drop last week when the U.S. Energy Information Administration reported a surprising increase in U.S. oil stockpiles for the previous week. Supplies grew by 5.7 million barrels. U.S. producers exported less oil than forecast while refiners increased their imports. Drivers in the West – Alaska, Hawaii, California, Oregon, Washington, Idaho, Nevada, and Utah – are paying some of the highest prices for gas. They're joined by two Northeastern states – Massachusetts and Pennsylvania -- where the average price at the pump ranges from $3.12 to $3.15 a gallon. The cheapest fuel is still found in the Southeast and portions of the Midwest. The average price of regular gas in South Carolina is $2.64, making it the lowest in the nation. The average price in Mississippi is $2.65, while Alabama and Louisiana both have statewide averages of $2.66.